Medium Project 6-3, Master Bathroom » Roger Perron Inc. The master bathroom provides a large open shower with a seat. 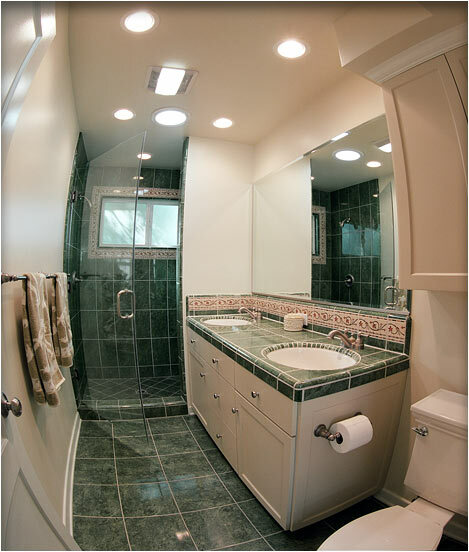 The tile pattern is used creatively around the backsplash of the vanity top and also surrounds the window. We installed new vinyl windows throughout the home and created a Craftsman theme (see photo #1). Additions and remodeling of Altadena home, with Bobby Knox, architect providing construction documents and Roger Perron, design-build contractor.